"O Christ, Surround Me" / "God Be the Love to Search & Keep Me"
This hymn from Worldmaking.net transposes the text of St. Patrick’s Breastplate into a song of sending or invocation. St. Patrick's Breastplate has been a meaningful prayer across denominations for centuries. The colorful, dramatic language celebrate the witness of the natural world to the holy presence of God. Attributed to St. Patrick, the text had many influences before it was connected to him. With a rich history, the name and symbol "Christ" may be taken to represent the whole of the Trinity. Acknowledging Jesus Christ particularly, the text also savors the mystery of the indwelling Holy Spirit of Christ in every particle of creation. And with the many references to the created world, the Creator facet of God is also represented. “O Christ, Surround Me” emphasizes the mystical presence of Christ in community as well as in the individual. Images from Hebrews 12 are reminders of the faith heritage of Judeo-Christian ancestors. The reference to Psalm 139 calls to mind the intimacy of God’s presence with the individual. The prayer and the song are both certainly designed for spiritual formation. Singing such a prayer with attention to both personal and cosmic dimensions awakens us to wild possibilities of the Holy: The Christ behind, before, above, below, within. 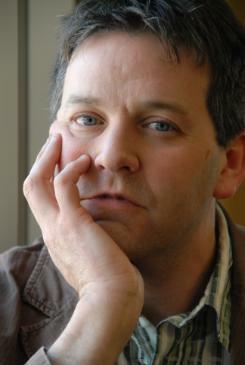 Richard Bruxvoort Colligan wrote "O Christ, Surround Me" in the midst of his MA in Theology and the Arts at United Theological Seminary of the Twin Cities in 2004. The piece was part of his masters thesis on congregational song and spiritual formation. In the midst of his work at UTS, Richard created Worldmaking.net, a publishing endeavor resourcing the ever-emerging and evolving church. A freelance liturgist, he tours with his family leading workshops on the Psalms and adventurous singing. He lives with his family in NE Iowa and is currently composing songs around the Psalms and telling bad jokes to anyone who will listen.